Been riding a fat bike for 2 years now! I road a surly Pugsley for the first 3 years. I loved that bike. It found a new home with a buddy of mine who still rides it all the time. I replaced it with a first generation Salsa Beargrease. A beautiful super light alloy frame set. And then upgraded to the first of it's king Carbon Salsa Beargrease that I'm been on for 2 seasons now.The Fat Bike became my bike of choice as I found myself being able to ride it in any condition. 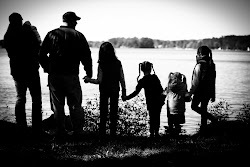 I love just exploring all the areas Muskoka and the surrounding area have to offer. Last winter a couple other buddy's took our bikes to the Arrowhead Provincial Parkto check out the trails. A beautiful day for a spin around the lake. Fast forward to this past summer and I built a set of 29+ wheels up and turned my fat bike into a rocket. Soooooo much fun. Anyways cheers from the trail and hope you get out to play in the snow this winter. So much for keeping up with the blog. I have been busy riding and working at both The Bike Shop In Gravenhurst as well as helping Mike on trail work at Buckwallow. The Surly Pugsley has been getting the odd ride in from time to time. However I have added a new Rocky Mountain Slayer 50 to my quiver of bikes. All in all my family is growing fast, too fast. It is great to be getting out and just enjoying riding and all it has to offer us. Muskoka is a jewel of a place to ride your bike. The shop rides have been growing steadily to. More new riders and faces showing up to join in the fun. Hope to see you on the trails. Happy Riding and be safe! It's time for a club!!!! Allot has been going on in my life. I have been busy riding the winter trails and lakes on the Pugsley as well as building an Ice Bike to ride the lakes after a early thaw and refreeze left the lakes clear of most snow. The snow bike has really been a blast to ride and can't wait to get some summer rides in on it. Me playing on the kids snow hill. I have also been doing the ground work for starting a cycling club. I have meant allot of nice people and am taking steps to make this dream a reality. 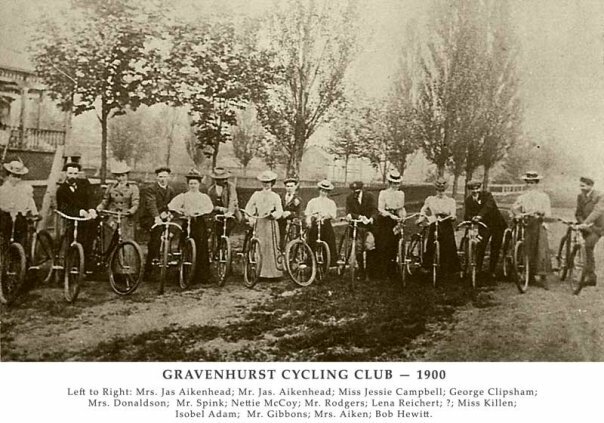 In 1900 Gravenhurst had a Cycling Club. This is the only known picture of the group. I love the fact that there is 8 lady's and 7 men. Just an all around cool picture. I had originally thought of resurrecting The Gravenhurst Cycling Club. But after talking with some knowledgeable folks on dealing with the local area townships and districts regarding cycling specific ideas and topics. We would be hurting our cause by handcuffing ourselves to just Gravenhurst. The name Lakeland was thrown on the table and I agreed that with all the water surrounding us this name would be much better to approach people with. And with that Lakeland Cycling Club it will be. The Lakeland Cycling Club executive body comes from a group of local cyclist that bring a wide range of knowledge in the sport. Together we share experience within the Racing, Promoting and Cycling Industry and are just all around Cycling Enthusiasts. The club will keep moving forward in an ongoing path to spread the pedaled word and remind people how much fun it is to ride a bicycle. Our goal is to promote safe riding and educate cyclists and motorists about sharing the road while having fun riding your bike. It is our hope to offer something to all levels of cyclist, from the advanced racer to the bicycle commuter. Muskoka has an abundance of natural beauty and wildlife, ready to be explored either on our wooded trails or our scenic roads. We want to offer education and experience to all who seek it and grow the cycling community in Muskoka. I have allot of work ahead of me this summer, but I am so looking forward to it. Last Sunday Mike, Brandon and I headed out for another Sunday adventure. The plan was to get all the local Fat Bikers out. All 5 of us. But it was down to 3 again. It was a chilly –22C when we started out from the Bike Shop In Gravenhurst. We headed out to the Old Stone Rd. heading for the Torrance Barrens. It became clear that that would be unattainable this day. So once we were through the trail it was an old cottage road ride back to town. 2hrs and 21.21km later we were saying good day to each other and heading our separate ways. Although it was quite cold out, it was a beautiful Sunny January day in Muskoka. It doesn’t get much better than that. The comradery of a couple friends and the peacefulness of the forest around you, make these winter rides so rewarding. On the way back to town we had fun on the rolling hills the road had to offer. Can’t wait till next Sunday’s ride. Hope the other guy’s can make it out. Here are some pictures of the days adventures. We made our local News Paper! The Surly Pugsley is making a name for itself in Muskoka. Some friends helped to spread the word of the fun a person can have on a bike in the winter. They get allot of attention every ride out. Love it! A video of Mike’s Present! Who the hell is Donnie Collins???? I'm a dreamer. Married to Sarah Nichol, father of 5...yes 5 Girls Mikayla, Serena, Avery, Reese and Jocelyne. My dog Scout is a trail dog who loves to chase me.